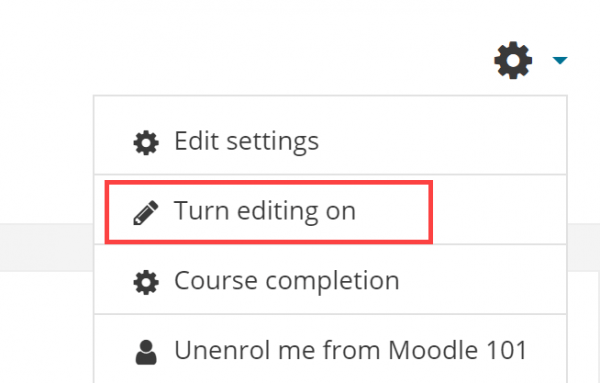 Moodle’s Feedback activity allows you to request and collate feedback from students using a range of survey question types. It’s the perfect choice for course or teacher evaluations. 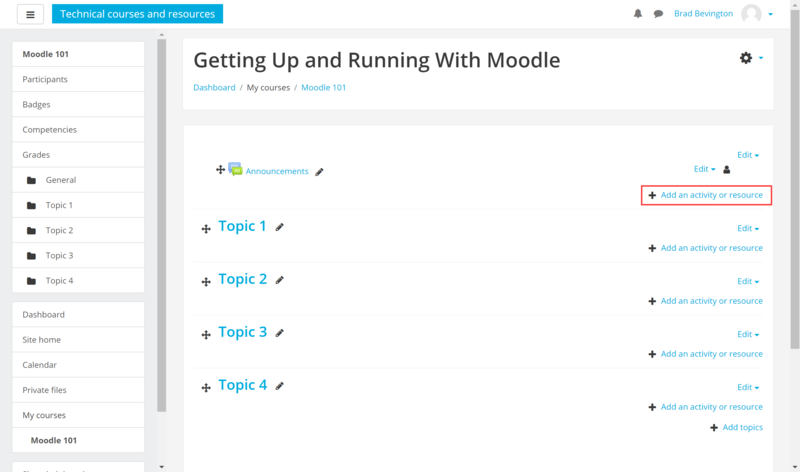 To add a feedback survey to your course, head to Dashboard > Course Name. Click the cog icon at the top right of the screen and select Turn editing on. 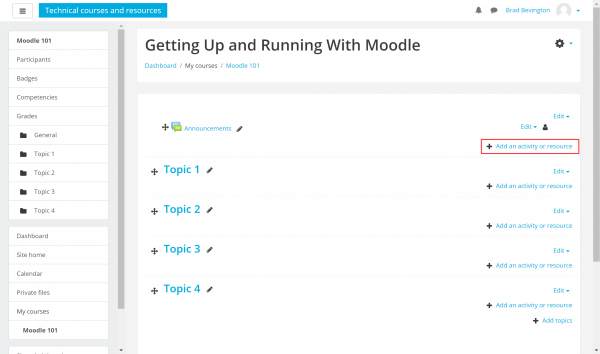 Click Add an activity or resource next to the section in which you wish to place the survey. Select Feedback from the list of activities available and then click the Add button. Complete the form, providing a name and description for the feedback survey. 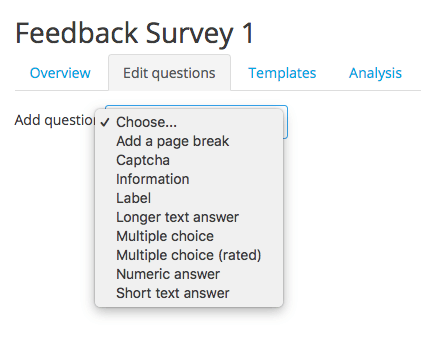 Continue working through your survey settings, then use the Save button at the bottom of the page to continue. Now that the survey has been created, you can proceed to add questions. First, click the survey title. Select a question type using the dropdown menu. Build your question, entering the question text, a label, number range, or other relevant details. When you’re ready, click Save question to continue.